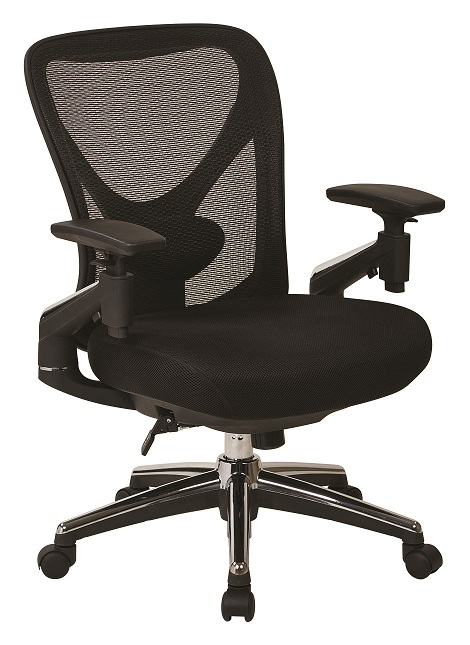 The ProGrid Mesh Back Manager's Chair melds ultra-modern design with supreme comfort. A Breathable Pro Grid back and adjustable lumbar support alleviates back stress, while the 2-to-1 synchro tilt with tilt tension control adds accommodating range to the thickly padded mesh cushion. Unique pivoting arms with chrome accents swing out at the base for total adaption to all body shapes, sizes, and comfort preferences. Finished with a chrome-accented base, you will never sacrifice ergonomics for aesthetic in this heavy duty manager's chair that absolutely means business.